Good evening, felinity assembled, sorry for the real late CoTC. Things should be better going forward. Our friends at Life From a Cat's Perspective have asked to just stick with submissions and being FNN Repurrters going forward as life has been pretty hectic for them so Daddy Kiril will update the hosting list over the next few days to reflect our taking on more dates. 1 thru 3. We celebrated May Day by announcing the return of the Pussycat Purrambulator/Feline Utility Vehicle and Miss Sneakers adventurous first strolls. There are lots of photos to share and you can follow the links, beginning here. 6 and 7. 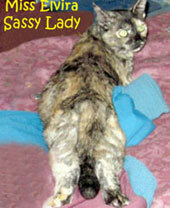 Over at Life from a Cat's Perspective...Samantha is glad to have her Mom Human back! On Sunday Samantha takes it easy and even goes boxing. 8 and 9. 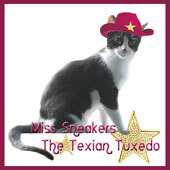 Over at Sparkle Cat...In case you may have taken that month off...what Sparkle was doing in April 2011, hee, hee! Also Summer discusses the CATucky Derby! 10 and 11. Over at Marian Allen's blog...Ever wonder what happened to Katya Graymalkin when she moved on from this life? (Miss you, girl!) Also, the cats are helping Mom Marian do "A Stroy a Day in May". Munchkin is up first with "Two of a Kind". 12 and 13. Over at CatSynth...Alpine the Cat and a cat poses with something called a "Roland 626". 14 and 15. Over at Brian's Home... Brian has been fighting the "Pee Wars" but has been let out of the bathroom recently. 16 and 17. Over atAnimal Shelter Volunteer Life...Hubbell looking to be adopted! (No, not the telescope, silly!) Also, Moosey...the cartoon! 18. Over at Traveling Cats...An awesome look at cats in Rome. 19 and 20. 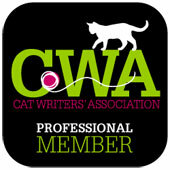 Over at 15 and Meowing...the gang completes the A to Z April Blogging Challenge and Cat Scout Felix does a guest post. 21. 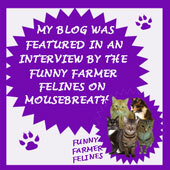 15 & Meowing was interviewed by the Funny Farmer Felines over at Mousebreath! 22. Over at Marks Mews...It all began in 2006...and now they are celebrating their 3000th blog post! Concatulations! 23. Over at Melissa's Mochas, Mysteries and Meows...Testing and reviewing the SkratchKabin! In the Feline News Network News...Our FNN Roving Correspondents have sent me news but I am going to have to dig thru a months emails to find them. That's how hectic it's been around here since the beginning of March. 1. Meet Bumpie the 3-legged kitten! 2. The Daily Mirror looked at cat micro-chipping data from Petlog to determine where most British felines live, and the most popular pussies in each area. The various statistics shared make for interesting reading. 4. The Rising Costs of Health Care for Cats & Dogs by Arlene Weintraub, for Bloomberg Business, is an interesting story. 5. Absolutely fascinating! Cats & sun puddles...We can't live without our sun puddles! This time lapse video shows just how much work felinity assembled puts into being extremely lazy. Loved the 2nd full minute! 1. Friday Ark #518 - Cats, Dogs, Birds, Invertebrates, Other Vertebrates and the Extinct! Oh, my! 2. Camera Critters #369 - The oldest active meme about photos of animals/critters! 12. 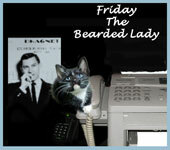 Pam & the cats of Sidewalk Shoes have a Happy Caturday Blog Hop. 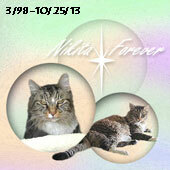 What a coincidence that I posted that #TBT of Sparkle for the very same month Nikita reviewed her 2 books!